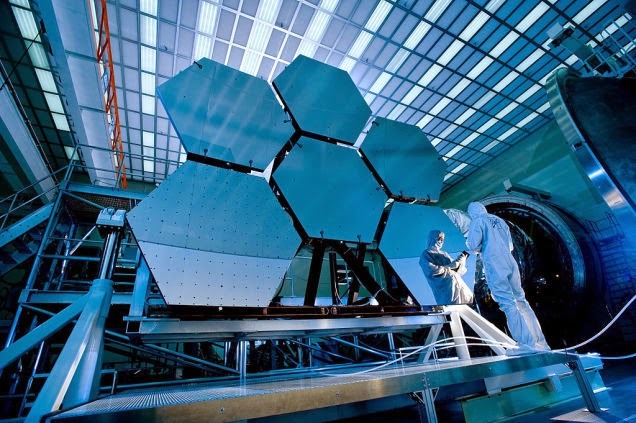 “[The James Webb Space Telescope] has, in many ways, 100 times the capabilities that the Hubble Space Telescope does. We're actually going to be able to see the first stars forming, the first galaxies forming after the Big Bang. We're also going to be able to — we think — directly image planets orbiting other stars. There isn't a field in all of astrophysics that will not benefit tremendously. Just as Hubble was… not just a leap, but an enormous leap forward for all of astrophysics, including the discovery of Dark Energy (70% of… the energy of the Universe was unknown before Hubble), I find it almost impossible to believe that we won't make the same kinds of discoveries with the James Webb Telescope. Once [we] started seeing things with Hubble that [we'd] never seen before, [we] pushed it harder and harder to do new things. The same will happen with the James Webb Space Telescope. If that doesn't excite you about JWST then I don't know what will.